White Plains, NY — The Westchester County Board of Legislators has begun consideration of the Fair Chance to Work Act. The proposed law, introduced Monday, would eliminate pre-emptive questions about an applicant’s past convictions at the start of the job application process. The goal is to give people who may have a record of conviction but who are otherwise qualified for a job, a chance explain their circumstances without being shut out of even that opportunity. The Fair Chance to Work Act currently is under consideration by the Board’s Committee on Labor and Housing. 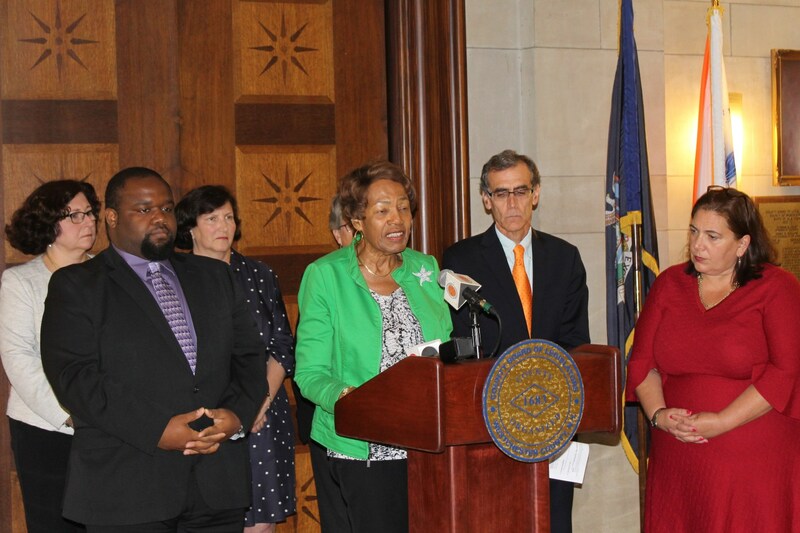 PICTURED ABOVE: (1) Vice Chair Alfreda Williams, (2) Legislators Catherine Borgia and (3) Christopher A. Johnson, introduce Fair Chance to Work Act, joined by Majority Whip MaryJane Shimsky and Legislators Nancy Barr, Kitley Covill and Damon Maher.